Hotel Moscow, by Talia Carner. William Morrow. 464 pages. Trade paperback $14.99. The great Russian playwright Anton Chekhov was the master of “arrival and departure” dramatic structure, used most effectively in “The Cherry Orchard.”. This design, which puts a frame around the action, is used to good advantage by Ms. Carner in her probing and penetrating novel set in the bewildering post-Soviet era. Seven days in the early fall of 1993 are all we get, but it’s amazing how much insight, compassion, and high-stakes action is crammed into that week between the main character’s arrival and departure. The old habits of Communist rule are very much alive, and there is no viable political or legal structure in place yet to contain and direct the nascent capitalist strivings and the wished-for individual freedoms that are the glory of western democracies. There is still heavy-handed, repressive rule — now too often going hand in hand with aggressive Mafioso entrepreneurs. Brute force and extortion trump bright ideas and advanced, fair models of doing business. Fear and instability thrive. Brooke Fielding, an attractive thirty-eight year old American executive, is with a team of similarly successful women on a mission to bring their know-how to the aspiring businesswomen of a bumbling and stumbling Russia. 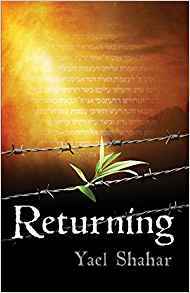 The child of Holocaust survivors, Brooke has spent a lifetime trying to rid herself of their habits and conditioned emotions of mistrust, paranoia, secretiveness, and smoldering rage. She refuses to make her life’s mission one of justifying their suffering through her success and her personal decisions. When she realizes that she has entered a literal war zone, as President Yeltsin and the Russian parliament vie for power, and when she sees the stricken faces of the vulnerable women she hopes to help, Brooke begins to understand her parents’ lives of never-ending anxiety. In the process of truly identifying with the courage of the down-trodden, Brooke reshapes and strengthens her Jewish identity. In the Hotel Moscow, everything is drab and out of date. Everyone who works there is on the take. An ordinary request requires a bribe. There is no real hospitality culture. Yet most of the women who came to Moscow with Brooke try to make the best of it, even though their mission seems to have been sabotaged in advance. Indeed, even though one of the women whose business is on their agenda has had that business devastated by hooligans in league with corrupt government officials. If you don’t pay, you can’t play – and the inchoate power structure can take it away. . . .